KemperSports, the most trusted name in golf, announced today that it has been selected to manage Wilderness Ridge Golf Club in Lincoln, Neb. 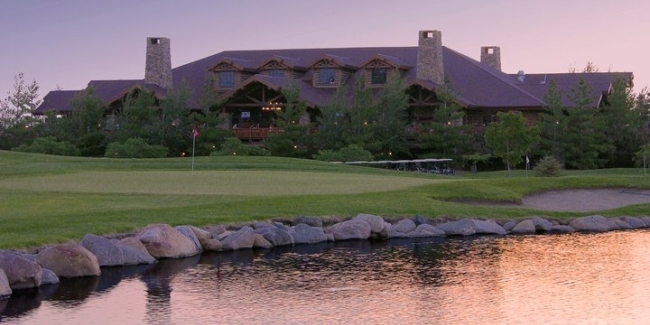 The semi-private property, which includes an 18-hole public golf course, 9-hole executive course and expansive lodge, will be KemperSports' second in the state of Nebraska - as the organization also manages The Prairie Club in Valentine, Neb. KemperSports will be tasked with pursuing additional marketing opportunities as well as providing an exceptional hospitality experience to the local community. "We are both pleased and excited to welcome KemperSports to Wilderness Ridge Golf Club and introduce them to Lincoln and the surrounding area," said Wilderness Ridge Golf Club managing owner Tom Schleich. "KemperSports' reputation, commitment to excellence and focus in providing exceptional guest experience aligns with our own expectations and those of our stakeholders including, ownership, co-workers, guests, members and the community." Designed by Jim White in 2001, the 7,100-yard, par-71 course is known for its' unique water features and impeccable bent grass greens. Wilderness Ridge has hosted numerous prestigious championships, including the U.S. Open Qualifier, Nebraska Section PGA Championship, Nebraska Mid-Amateur Championship and several college championships. "Wilderness Ridge has a reputation of being one of the best golf courses and dining experiences in the Lincoln market," said KemperSports CEO Steve Skinner. "We look forward to enhancing the guest and golfer experience through our TrueService customer service training, creative marketing initiatives and implementation of other best practices." In addition to the two golf courses, Wilderness Ridge has a pair of restaurants, The Lodge at Wilderness Ridge, a rustic fine dining restaurant that offers the finest steaks, seafood - flown in fresh each week from Seattle. The Grill offers a more relaxed atmosphere and cuisine which provides guests with the opportunity to relax after work or a round of golf. The Wine Bar, which hosts an extensive list of the finest wines, recently received the 2013 Award of Excellence by Wine Spectator. Wilderness Ridge Golf Club is the home course for the University of Nebraska Men's and Women's golf teams. In addition, the club is also the proud sponsor and host of the University of Nebraska PGM - Professional Golf Management program.